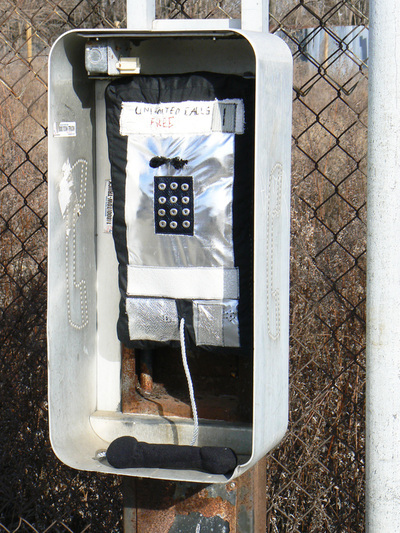 Unlimited Calls Free. 2013. Fabric, buttons, velcro, cord. 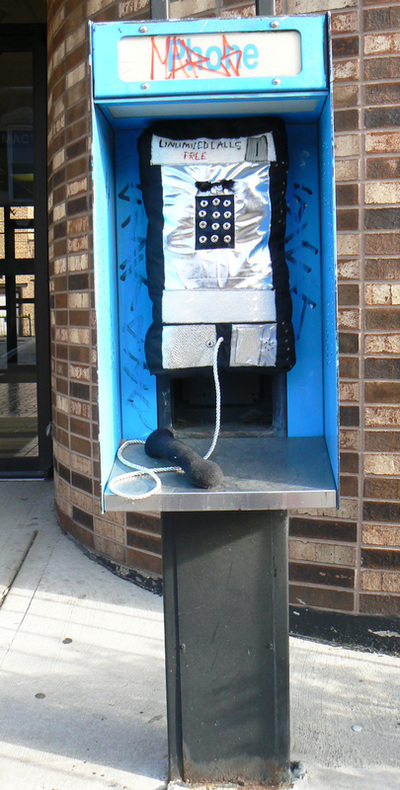 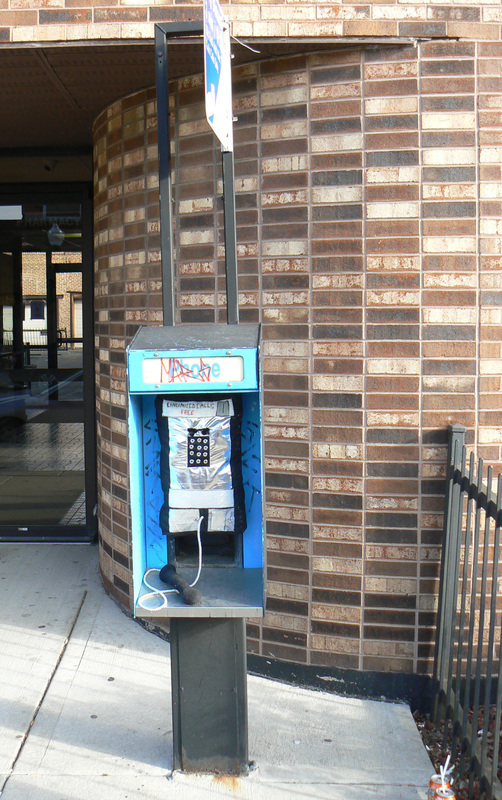 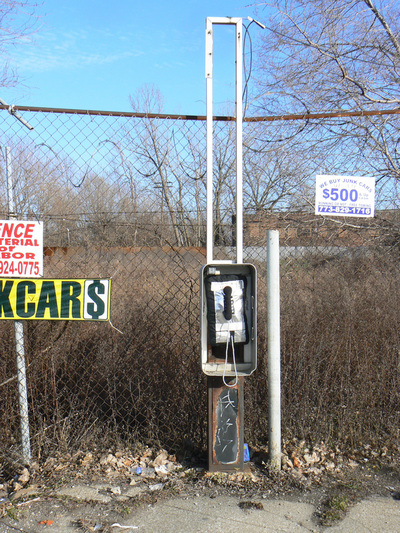 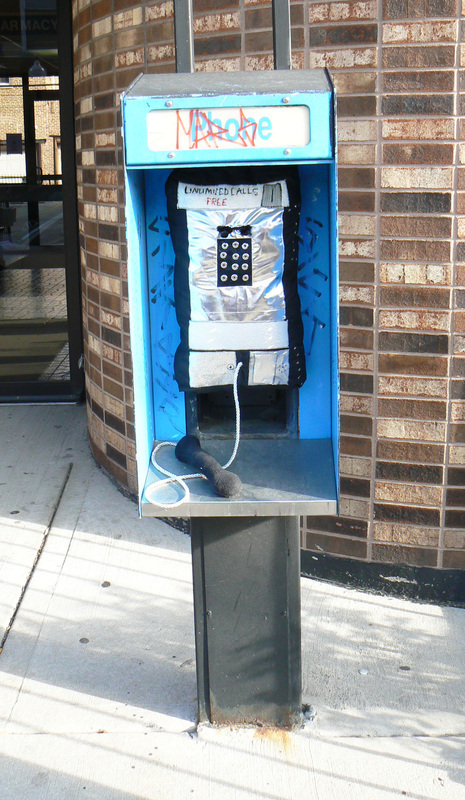 Empty pay-phone stands are sprinkled every few blocks in the South-Side neighborhoods of Chicago. 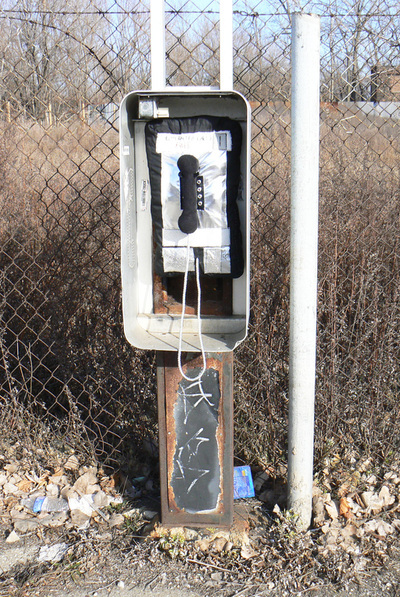 If you couldn't afford a cell phone, what would you do?